Image: Simonmcconico/Hero Images/Getty Images. Design: Ashley Britton/SheKnows. Algebra = not fun. Nipping out to McDonald's = fun. 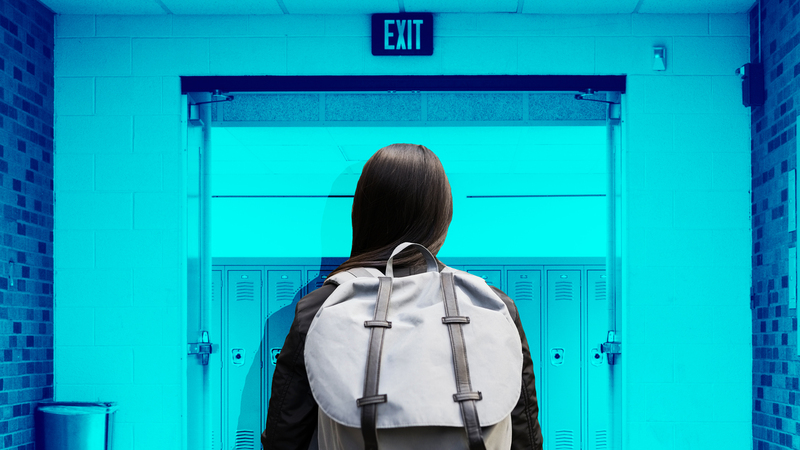 Here's the most important thing to know: Kids have a legit reason for avoiding class. It might not be what we'd call "good,” but they have a reason. And if we’re willing to put ourselves in their shoes, we can understand and help them work through the issue. The first thing kids need is to puke out all their perceptions; to just clear it all out of their brains. That alone can give a kid a fresh slate and a burst of optimism. To open the conversation, tell them they can be super-honest, that you don't have an intention to "cheer them up" or "change their mind” — and mean it! If we imply they should see the situation differently than they do — if we even think it — teens will Spidey-sense our intention is not to listen to them but to change them, and they’ll shut right down. Once you’ve established that you’re there to listen and understand, hit the kid with open, curious questions like, "It was hard for me to find true friends when I was in high school. What's it like for you?" or "What's the social dynamic like at this school? Where do you feel like you fit into it?" More: You Can Now Track Your Kid's Every Move — But Should You? This ask-questions-listen-to-the-answers process uncovers happy options for the kid to find new connections at school and sparks confidence for taking the steps to follow through. That's the key. A kid won’t cut when they’re excited about going to school. But for most teens, excitement doesn’t come from the academics; it comes from the social connections. For the vast majority of kids, once the happy, confident connecting starts, the class-ditching stops.